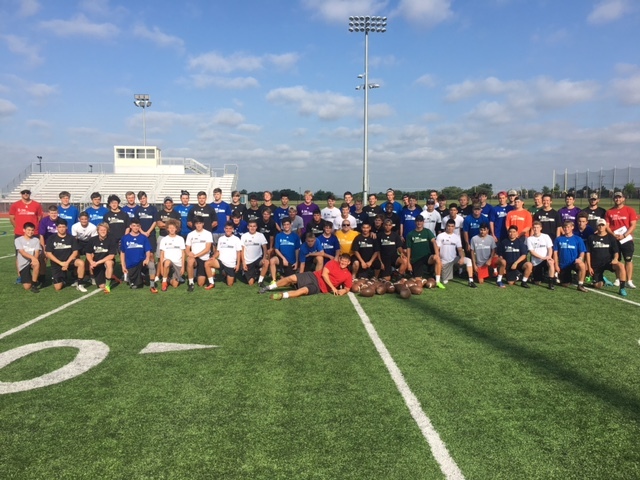 2018 TX Summer Camp Recap – Tabor Allen Impresses! 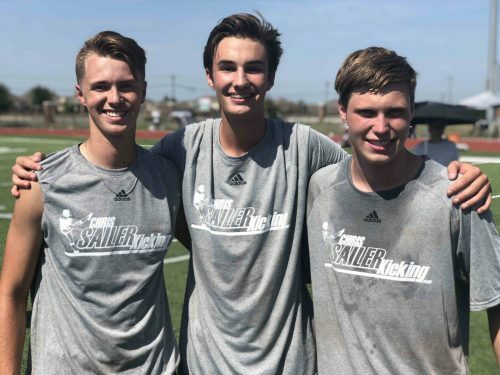 The Chris Sailer Kicking 2018 Summer Camp Tour made its second to last stop in Dallas, TX on Sunday July 22. Nearly 100 specialists from 10+ states participated in this very popular 1-Day Camp. Take a look at the results. 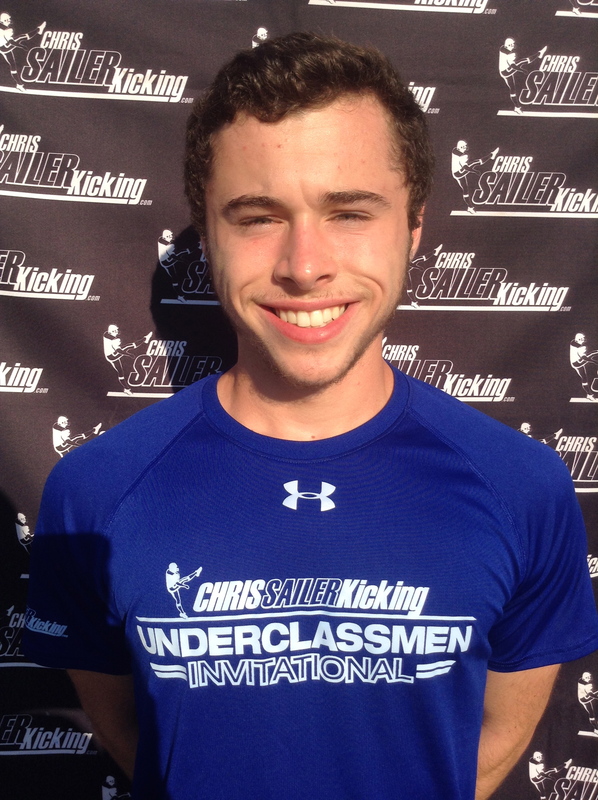 The longtime Chris Sailer Kicking Kicker had a breakout performance. He has always done well in competitions, but on this day he proved that he is a major D1 recruit. He won the kickoff competition by averaging 70+ yards with 3.90+ hang time. His best ball on the day sailed through the uprights with 4.1 hang time. He was also dominant on field goals. He hits a pure ball and has 55+ yard range which he displayed in the finals round. Look for Tabor to have a huge upcoming season and challenge for a TOP 12 spot this coming January at Vegas XXXIII. Tanner did a phenomenal job at his first Chris Sailer Kicking camp. He was consistent all day long and stepped up when in counted the most. He won the Field Goal competition by going 7-8 including a long of 55 yards. He was also solid on Kickoff. Tanner is an excellent college prospect with a bright future. Carson stood out in Dallas by displaying his versatility. He won the Punt Competition by averaging 40+ yards, with 4.4+ hang time. He was also solid on both Field Goal and Kickoff. His consistently in all areas of his game make him a special prospect. He has big things ahead with continued hard work. 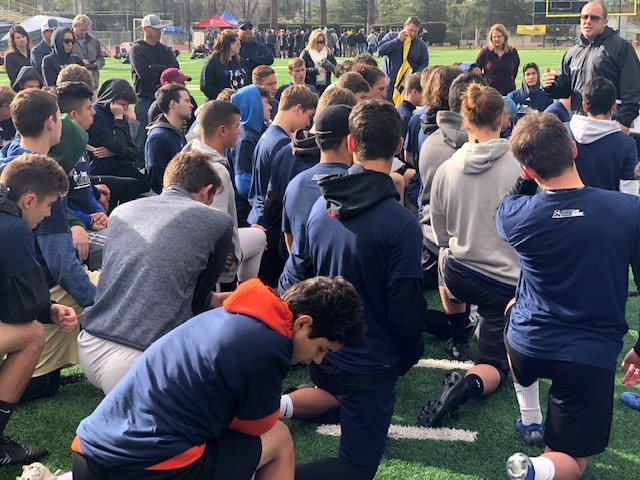 The 2018 Chris Sailer Kicking Fall Camp Schedule has been released and is NOW OPEN FOR REGISTRATION. Looking forward to a great season ahead. At Vegas XXXII, I will choose 20 additional TOP 12 Camp Invitees. They will join the first 20 selected at the Invite Only TOP 12 Camp this summer. This is a true invite only camp. I do NOT just hand out invites to get people to come to it. That would give me no credibility. I choose the best because they are the best. 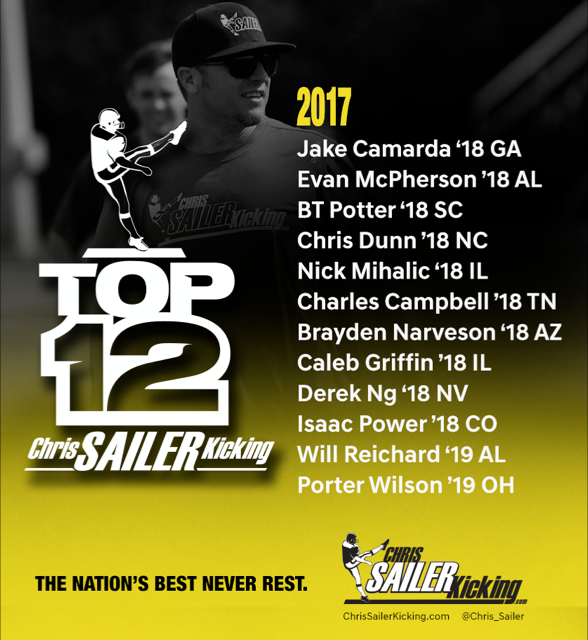 They will represent the TOP 12 and Chris Sailer Kicking forever. Who will make it in 2018? 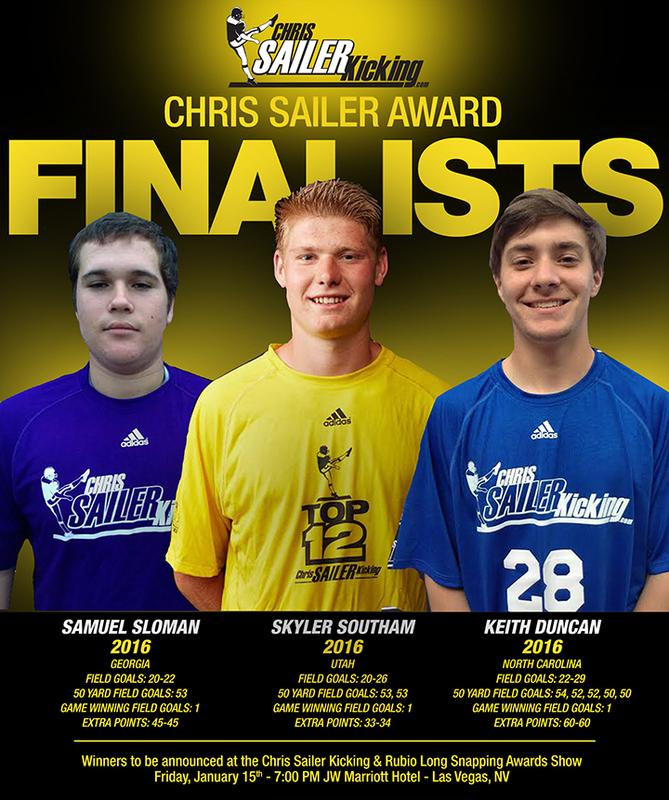 2017 Chris Sailer Award Semi-Finalists Announced! Announcing the semi-finalists for the 2017 Chris Sailer Award, presented to the top high school placekicker in the nation. The 3 Finalists will be announced Thursday December 21st. The winner will be announced January 12, 2018 in Las Vegas, NV at the JW Marriott Hotel (Vegas XXXI headquarters). Past winners include Wyatt Schmidt (2012), Cole Hedlund (2013), Tyler Bass (2014), Samuel Sloman (2015) and Brandon Ruiz (2016). Brandon Ruiz, 2016 Chris Sailer Award Winner started as a true freshman for Arizona State this year! 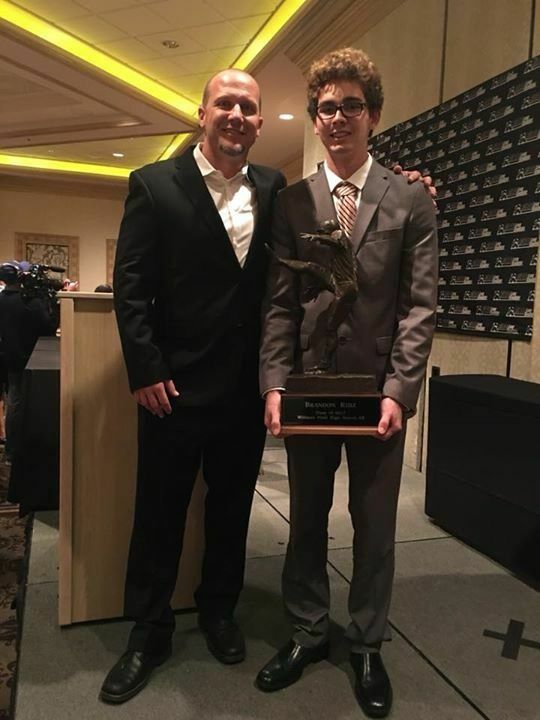 The National Placekicker of the Year is named in honor of Chris Sailer for his outstanding high school career and nearly single handedly changing the world of kicking and punting as we know it. Chris is now the most prominent kicking and punting coach in World. He has made the positions of kicking and punting a specialty and is revered around the country. 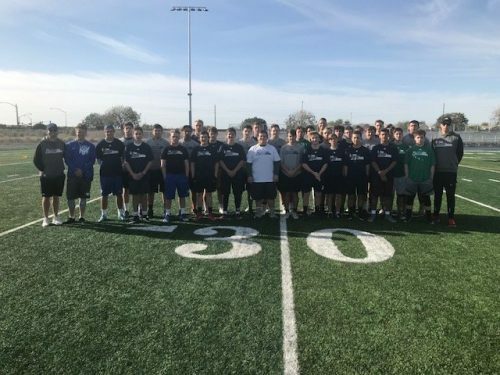 Through his training and development of young kickers and punter, almost 100 high school and junior college kicking & punting specialists now receive full ride scholarships each year for their skill in that position. 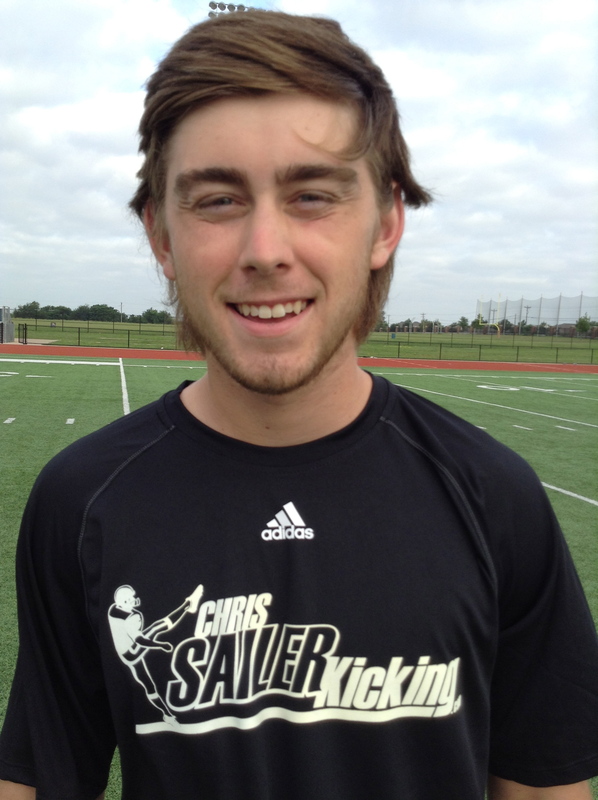 2017 Chris Sailer Kicking TOP 12 Camp Recap, Best in the U.S. Compete! The best of the best high school and junior college specialists in nation gathered in Tampa, FL to compete at the prestigious TOP 12 Camp. In order to be invited to attend this camp you had to dominate at either Vegas XXIX (January 2017) or Vegas 30 (May 2017). Twenty Kickers/Punters were selected in January and an additional twenty were selected in May. The two Vegas Events brought in well over 1000 specialists, so achieving this honor was a tall task. Five wild cards were added rounding out the field of the 45 best in America! The format for the 2017 TOP 12 was brand new. After fourteen years of the TOP 12 and Event Elite format, this year the standard was set even higher. For the first time ever, 45 specialists would have to compete in July to earn the honor of TOP 12. And… the camp would be captured by film and crew for the first ever TOP 12 Web Series. The pressure was on as the stakes were set higher then hey had every been. Every athlete would be followed by cameras. Interviews, on field performance, competitions, off the field character and thorough evaluation would ultimately determine who would be selected to the first every true TOP 12! Each athlete earned a BLACK TOP 12 Camp shirt by way of invitation to the TOP 12 Camp. What they now sought was the coveted YELLOW TOP 12 shirt. The yellow shirt is an invitation into the most prestigious club for Kickers and Punters. Who would join the company of players such as Dan Bailey (Cowboys), Justin Tucker (Ravens), Ryan Succop (Titans), Bryan Anger (Buccaneers), Jeff Locke (Colts), Tress Way (Redskins) and many many more? College All-Americans, Lou Groza Award Winners, Ray Guy Award Winners, NFL Draftees, NFL All-Pros, NFL Superbowl Champions, etc. The atmosphere was intense. Cody Williams (2018, CA) – Cody put on a stellar performance. Coming into camp, he was one of the lowest ranked kickers in attendance. He knew he would have to work his way up the ladder, and he did exactly that by coming out of the gates hot. He won the field goal last man standing competition by going 6-6 with a long of 58 yards. Due to a strong overall camp performance he earned a 5-Star rating and is now a top 20 nationally ranked prospect. Nick Mihalic (2018, IL) – Nick was a wild card invitee and he quickly proved worthy of the selection. He is a phenomenal punting prospect that easily averages 45+ yards with 4.5+ hang time. He defeated a very strong field of punters on day one and proved that he would be a force to be reckoned with in the fight to become the overall TOP 12 punt champion. His performance throughout the three days earned him a 5-Star rating and he is now ranked the #3 punter in America. Cole Talley (2018, TX) – Cole is one of the absolute strongest kickers in the nation. He continually shows his strength by dominating kickoff competitions. He hit 5 consecutive kickoffs over 70 yards, with 4.0+ hang time. His best ball measured 75 yards, with 4.23 hang time. Cole is a big time talent that has endless potential. He is a 5-Star rated kicker and a top 20 nationally ranked prospect. He is also one of the most popular athletes amongst his peers. Issac Power (2018, CO) – Issac put together another impressive performance in Tampa. Coming off a huge performance at TOP GUN where he earned U.S. Army All-American honors, he stayed hot. He punts for a great combination of distance and hang time and is able to perform very well under pressure. He is a 5-Star rated punter and made a big jump all the way up to the #4 ranked punter in the nation. Charles Campbell (2018, TN) – The is the most difficult kicking competition to win for the entire year! Charles has been on a roll. 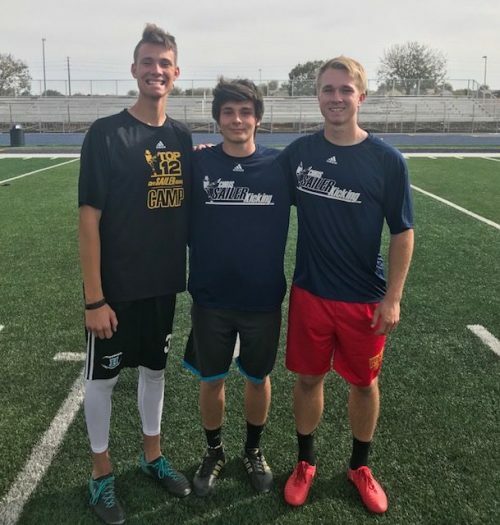 He earned U.S. Army All-American honors at TOP GUN, committed on full scholarship to Indiana and now won the 2017 TOP 12 Kicking Championship in the last two weeks. He is simply an outstanding kicker. He has an elite leg, kicks with excellent consistency and knows how to step up under pressure. Charles is a 5-Star rated kicker and ranked #3 in America. Jake Camarda (2018, GA) – The is the most difficult punting competition to win for the entire year! Jake came in as the #1 seed and the #1 ranked punter in American and he showed exactly why he is worthy of that honor. The Vegas XXIX Punting Champion dominated the TOP 12 field with an NFL type performance. He easily knocked off top rated prospects one by one, besting Nick Mihalic in the final. The University of Georgia is getting the best punter in America. After three amazing days, decisions had to be made. Athletes were called into the war room to learn their fate. In the end, only twelve would earn the honor of TOP 12 and walk away with the yellow shirt. The tension was at an all time high. BT Potter (2018, SC) – The Clemson commit is the real deal. He dominates at every aspect of the game and is ready for any and all challenges ahead. BT was recently selected to the U.S. Army All-American Bowl and he is now your new #1 kicker in the nation. Jake Camarda (2018, GA) – The clear cut #1 punter in the nation and now #4 ranked kicker in the U.S., Jake is the very best combo player in the nation with a big time future ahead of him. 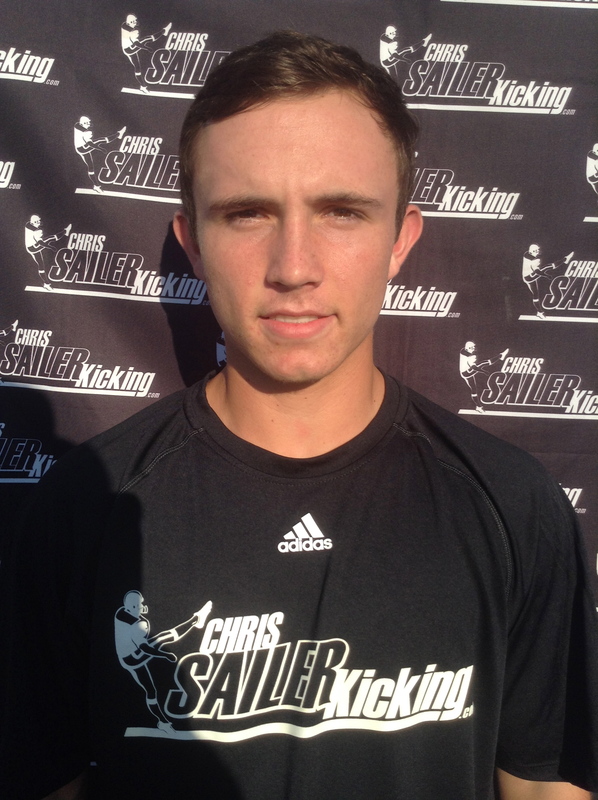 The four year Chris Sailer Kicking student is beyond ready for the next level. Evan McPherson (2018, AL) – The Mississippi State commit is one of the best kickers to every participate in the TOP 12 Camp. He is a 5-Star rated kicker and the #2 ranked ranked kicker in the nation. He is also an outstanding punter. Evan is impressive both on and off the field. Nick Mihalic (2018, IL) – Nick was the biggest surprise of the camp and will reap the benefits from his strong performance. He is now the best available punting prospect in America and all recruiting attention will surely point in his direction. Charles Campbell (2018, TN) – The Indiana commit and two time TOP 12 camp participant has climbed all the way up to the #3 spot in the nation, and rightfully so. One of the most liked participants at the camp, Charles is going to be a great fit in every way for Indiana. Issac Power (2018, CO) – Issac earned the final TOP 12 selection for 2018 punters narrowly over Cade Pollard and Gabe Boring. His ability to step up and win competitions was the deciding factor. He is the #2 punter available in the country behind Mihalic. Chris Dunn (2018, NC) – Chris is one of the most consistent performs in the United States without a doubt. 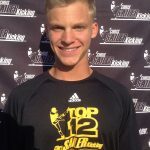 He has more competition wins than anyone in the history of Chris Sailer Kicking. He is not always flashy, but he is nails under pressure. The NC State commit is a great one. Derek Ng (2018, NV) – Derek is the real deal. The Vegas 30 Kicking Champion is a 5-Star Rated kicker and the new #6 ranked kicker in the America. He is absolutely outstanding on both field goal and kickoff. Derek is the top available kicker on the board. Brayden Narveson (2018, AZ) – The Iowa State commit is an excellent talent and a very consistent performer. Brayden has been one of the fastest movers up the ranks in 2017. He has all the tools to succeed in the BIG 12. Caleb Griffin (2018, IL) – Caleb was a dark horse coming into TOP 12. He is a tremendous athlete with endless potential. He held his own during day 1 and day 2 of competition and stepped it up during day 3. Caleb is the biggest sleeper in the class of 2018. He has made me a believer. Will Reichard (2019, AL) – Will is the clear cut #1 ranked kicking prospect in the Class of 2019. 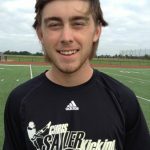 He has been a student of Chris Sailer Kicking since the 6th grade and already holds a scholarship offer from LSU. He would be ranked inside the top 3 in American if he was in the Class of 2018, he is THAT good. Porter Wilson (2019, OH) – Porter is the #1 ranked ranked punting prospect in the Class of 2019. He has a prototypical punting body and shows every sign of a big time future. There is no doubt that he is already a scholarship pick. Akubuo-Onwuemeka, Prominence (JC, CA) – Top national kicking prospect. *Biscardi, Massimo (2018, PA) – Committed to Coastal Carolina on scholarship. Boring, Gabe (2018, TN) – Top national punting/kicking prospect. Dylan Brady (2018, CA) – Top national kicking prospect. 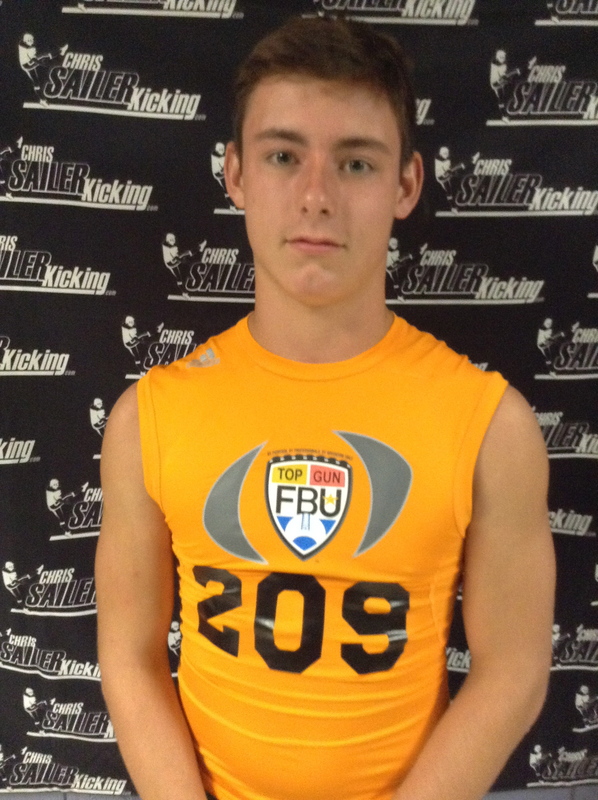 Brust, Matthew (2018, FL) – Top national kicking prospect. 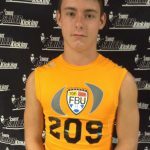 Burks, Thomas (2018, TN) – Top national kicking prospect. Camarda, Jake (2018, GA) – Committed to Georgia on scholarship. Campbell, Charles (2018, TN) – Committed Indiana on scholarship, U.S. Army All-American. 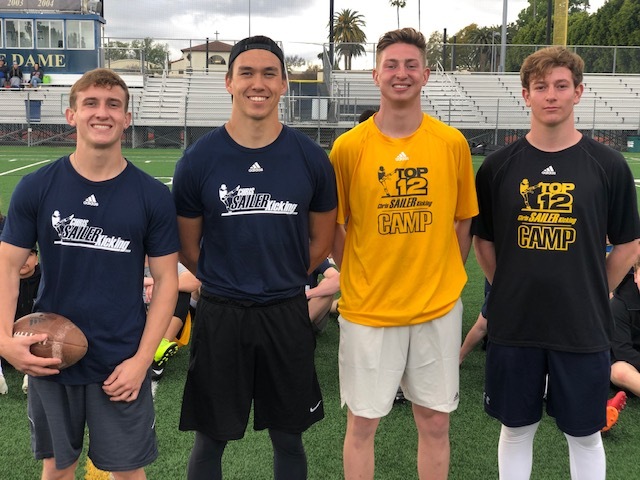 Culhane, Ajay (2018, CA) – Top national kicking prospect. *Cooney, Michael (2018, IL) – Top national kicking prospect. *DeLong, Skyler (2018, SC) – Committed to Alabama on scholarship, U.S. Army All-American. Dicker, Cameron (2018, TX) – Committed to Texas on scholarship. Dunn, Chris (2018, NC) – Committed to NC State on scholarship. Felkins, Alex (2019, OK) – Top national kicking prospect. *Fineran, Mitchell (2018, GA) -Top national kicking prospect. 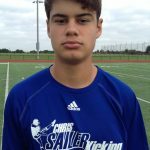 Garrett, Carson (2019, TX) – Top national kicking prospect. *Geddes, Campbell (2018, CA) – Top national kicking prospect. 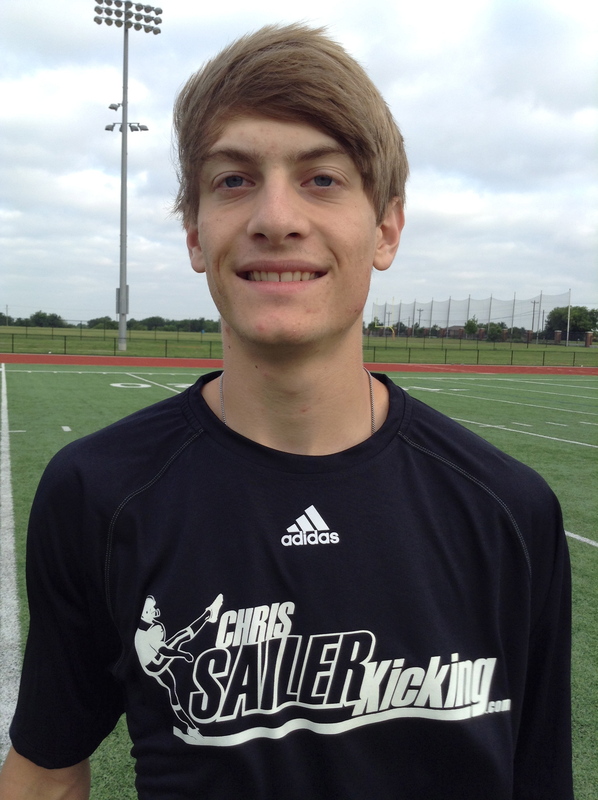 Griffin, Caleb (2018, IL) – Top national kicking prospect. Hanna, Cole (2018, GA) – Top national kicking prospect. 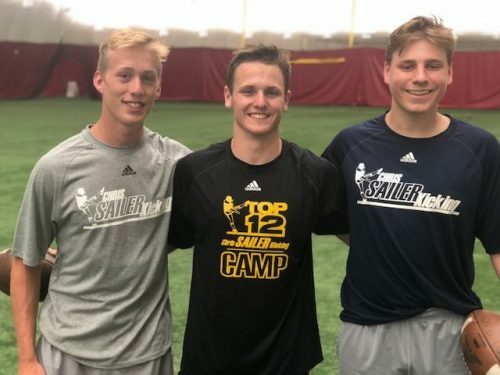 Jaeger, Matthew (2018, MN) – Top national kicking prospect. 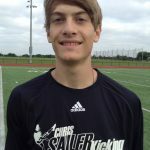 Kessler, Chris (2018, TX) – Top national kicking prospect. 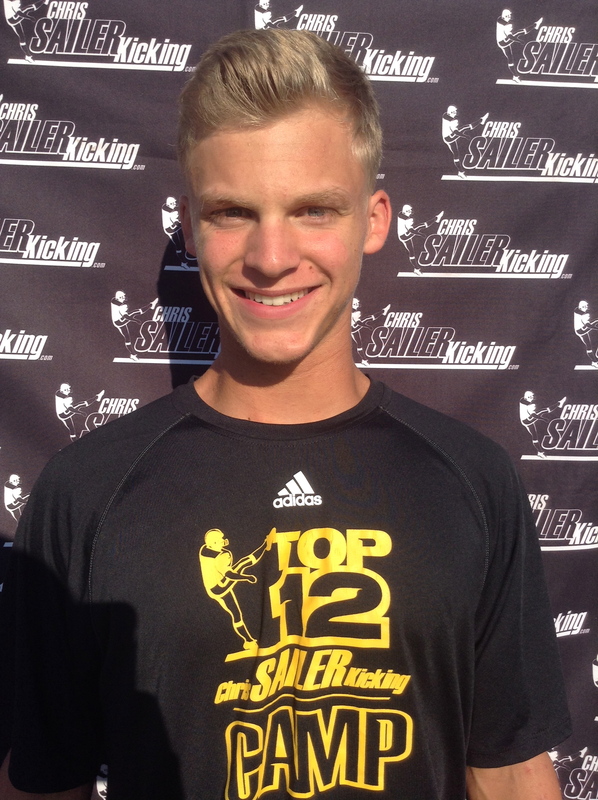 Krause, Adam (2018, IL) – Top national kicking prospect. Lantz, Michael (2019, GA) – Top national kicking prospect. Lees, Scott (2018, WA) – Big time all around talent. Lewis, Camden (2019, NC) – Top national kicking prospect. *Lipel, Jonah (2018, CA) – Committed to Harvard. 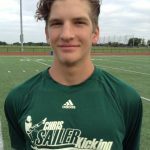 Mayers, John (2018, TX) – Top national kicking prospect. McPherson, Evan (2018, AL) – Committed to Mississippi State on scholarship. 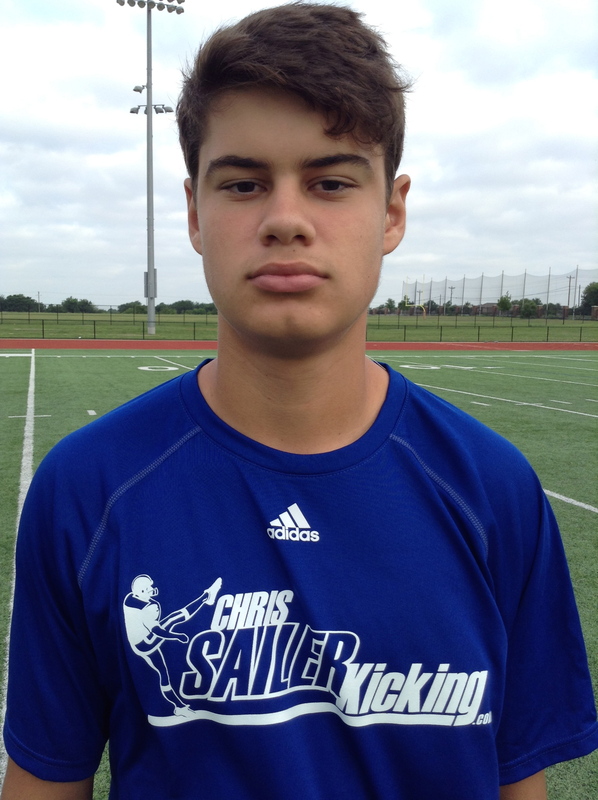 Meeks, Jacob (2018, TX) – Top national kicking prospect. Mihalic, Nick (2018, IL) – Best punting prospect available in nation. Mosharrafa, Anthony (2018, AZ) – Top national kicking/punting prospect. Narveson, Brayden (2018, AZ) – Committed to Iowa State on scholarship. Ng, Derek (2018, NV) – Best kicking prospect available in the nation. Pollard, Cade (2018, TX) – Top national punting prospect. Potter, BT (2018, SC) – Committed to Clemson on scholarship, U.S. Army All-American. Power, Issac (2018, CO) – U.S. Army All-American Punter. Reichard, Will (2019, AL) – Top national kicking prospect. Rodriguez, Andrew (JC, CA) – Top JC national kicking/punting prospect. *Sciba, Nick (2018, SC) – Committed to Wake Forest on scholarship. 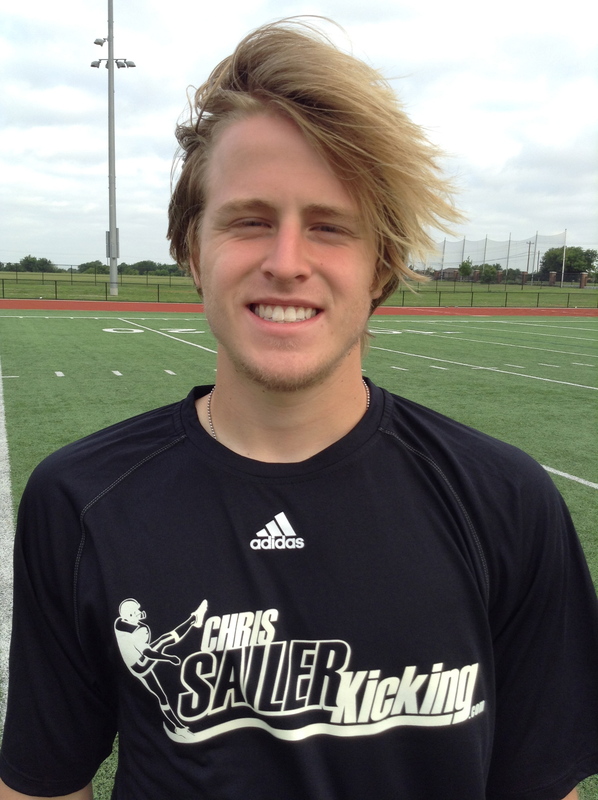 Stewart, Clayton (2018, TX) – Top national kicking/punting prospect. 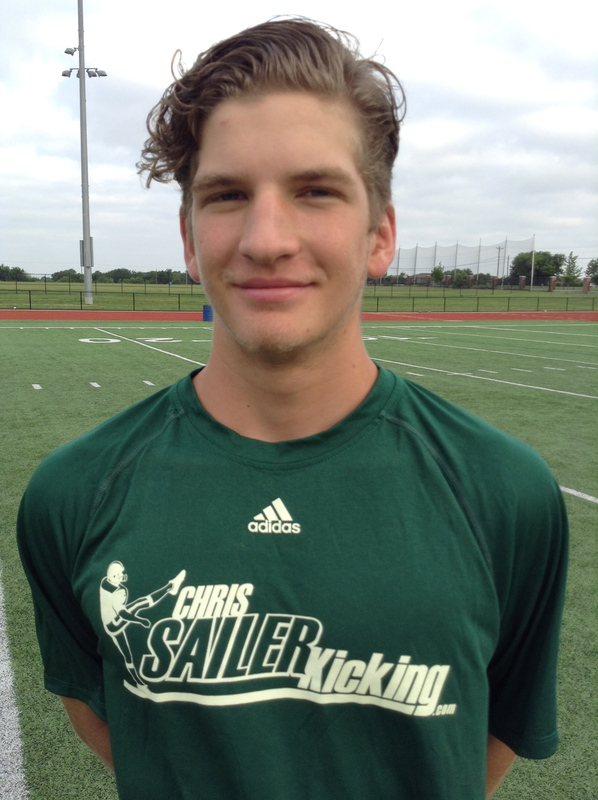 Talley, Cole (2018, TX) – Top national kicking prospect. Triplett, George (2018, WV) – Committed to Navy on scholarship. 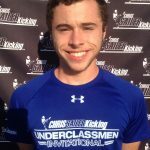 Van Eekeran, Chris (2019, IN) – Top national kicking prospect. Wallace, Quentin (2018, IL) – Top national kicking prospect. Williams, Cody (2018, CA) – Top national kicking prospect. Williams, Dylan (2018, CA) – Top national kicking prospect. Wilson, Porter (2019, OH) – Top national punting prospect. Wise, Camden (2018, VA) – Top national kicking prospect. COMING SOON! Get ready for the TOP 12 Web Series which will document the life of a kicker/punter and the TOP 12 selection process. CSK Veteran Justin Smith Wins the NC Summer Camp! The Chris Sailer Kicking 2017 Summer Camp Tour continued with a stop in Charlotte, NC on July 9th. There was a great mix of talented veterans and newcomers hoping to step up and come out on top of the competition. All in all, over 100 specialists from over a dozen states were in attendance ready to learn and compete with the best. Take a look at the results. Justin Smith (2018, OH) – Coming off a strong performance at FBU Top Gun, the longtime Chris Sailer Kicking didn’t miss a beat. He was the kickoff champion on the day with his biggest ball totaling 68 yards with 4.21 hang time. He was also very competitive in both field goal and punt competitions. Just is proving he is ready for the next level. Camden Wise (2018, VA) – The TOP 12’er proved exactly why he earned that honor earlier this year. He won the field goal competition by hitting 6 straight field goals including a final kick of 55 yards. He was also outstanding on kickoffs and punts. Camden is a confident kicker that kicks and punts with great confidence. He is going to be a fine college kicker. Holt Cloninger (2020, NC) – Holt became one of the few 2020 specialists to win a major competition this year. The #2 ranked kicker in the nation has a big time leg and already competes with the seniors. On this day he won the field goal competition by hitting 5 straight field goals including a long of 53. He was also very strong on kickoff. Hunter Braswell (2019, NC) – Hunter stepped up when it counted the most in Charlotte. A top 2019 kicker, Hunter proved that he is also a very capable punter. He averaged nearly 40 yards, with 4.3+ hang time. The lefty has the ability to develop into a top national combo prospect. Keep a close eye on this talented prospect. Top 2018 PROSPECTS: Avery Fulton, Drew Gilbert, Micah Breckeridge, Michael Driscoll, Wesley Strong, West Brownlee, Camden Wise, Hunter Baldwin, Jackson Brooks, Logan Bowers, Seth Harrison, Jimmy Chambers, Karch Kaspar, Justin Smith. Top 2019 PROSPECTS: Jared Wheatley, Hunter Braswell, Lake Barrett, Ryan Castle, Caden Bonoffski, Camden Lewis, Joey Mitchell, Max Blitstein, Will Griggs, Evan Davis, Michael Boyle. Top 2020 PROSPECTS: Benjamin Steele, Connor Rutledge, Graham Griffith, Jack Dunne, Luke Mickan, Grant Wood, Holt Cloninger, Quinn Castner. Top Youth Prospects: Shane Nelson, Blake Craig. 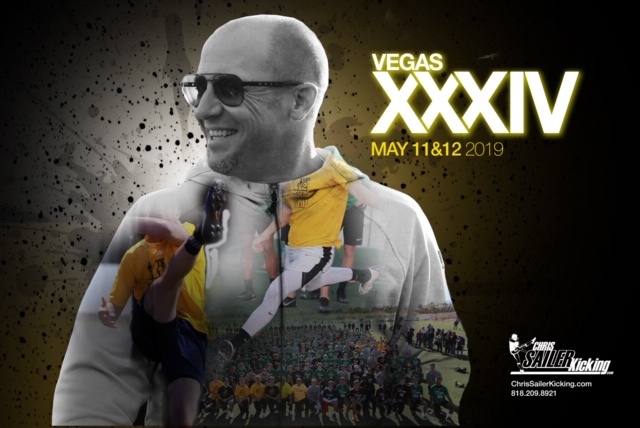 This will be one of the biggest summers in Chris Sailer Kicking history. Up next, join us in Atlanta, GA (July 11), Chicago, IL (July 13) and Los Angeles, CA (July 27). This summer will also feature our 3 prestigious invite only camps (College, TOP 12 & Underclassman Invitational) in Tampa FL (July 14-21). 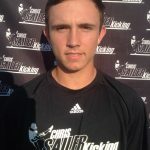 For more information, rankings and camp registration visit ChrisSailerKicking.com To be the best, train & compete with the best. Get ready for greatness! Sending in a two minute highlight video explaining why they should be the next recipient of The Chris Sailer Award. Video can include Kicking highlights, personal interviews and even a first hand interview of the finalists. This will need to be uploaded to YouTube with the title = NAME, Chris Sailer Award Finalists, 2015. All information must be sent to Chris@ChrisSailerKicking.com by 10:00 PM PST on December 18th. The winner will be presented with the trophy on Friday, January 15th at 7:00 pm at the JW Marriott in Las Vegas, NV. 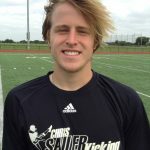 The Chris Sailer Award is presented, on an annual basis, to the best national high school placekicker for that given season. Past winners include Alex Ball (2011), Wyatt Schmidt (2012), Cole Hedlund (2013) and Tyler Bass (2014).